Last week we hosted “A Night of Food and Family” at our Santa Monica showroom, part of a special celebration to unveil our new Sub-Zero Wolf Living Kitchen, a store-within-a-store showcasing all of the company’s latest products and designs. Because we gave the party a family theme, we asked our invitees to submit their favorite childhood meals so that our catering team, Room Forty, could create different food stations, each with a modern riff on some of the classic dishes that were suggested. Designers names were included on the menu, like "Mississippi Mud Pie inspired by Tyler Pankratz.” Pharmacie crafted the evening’s cocktails and wine consultant Thomas Coutier handpicked the wines to pair with each food station. To finish the evening, we were thrilled to share gift bags with such terrific items as olive wood-handled bread knives from German knife company Messermeister and a loaf of bread from Bub and Grandma’s, whose baked goods you’ll find at Cookbook in Echo Park and at the Hollywood Farmer’s Market. Another special component of the evening was the introduction of Sub-Zero Wolf’s sleek new dishwasher, Cove, which will be available in early 2019. 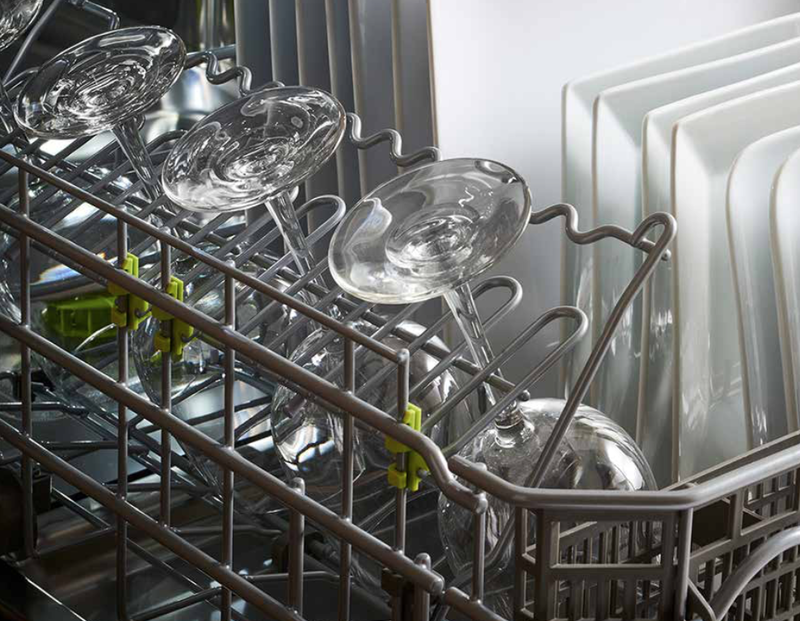 The virtually silent dishwasher is designed to adapt to your dishes and glassware, with an array of modes that result in a tailored, spotless clean. And while it’s extraordinarily hard working and efficient, we think our design clients will especially appreciate its custom capabilities: handles, cabinetry, interior configurations. With so many options, Cove is definitely putting the art in state-of-the-art technology. Check out Sub-Zero Wolf Executive Chef Coleman Teitelbaum’s video below, for his take on the new design. And a few more images from our fantastic event, photographed by Stephanie Plomarity. A huge thank you to everyone who helped make the evening such a fun success!